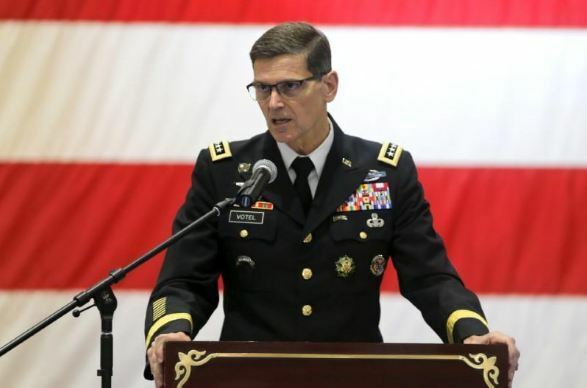 Afghanistan told the United States that Islamic State fighters who surrendered last week will be treated as prisoners of war, and not honored guests, despite the warm welcome they had initially received, a top U.S. general said on Wednesday. While pressure has been building for peace talks between the Western-backed government in Kabul and the Taliban, an Afghan affiliate of Islamic State, which has gained a reputation for brutality, is not part of any reconciliation push, U.S. officials said. Last week, an Afghan governor’s office floated the possibility of amnesty for a group of Islamic State fighters, including two senior commanders, who gave themselves up after being driven from their strongholds by Taliban insurgents. “The government of Afghanistan has assured us that these ISIS-K fighters will be treated as war prisoners,” Votel said, using an acronym for the Afghan affiliate of the group. Votel said that the fighters would be investigated and held to account for any war crimes they committed. Civilians who fled the last clashes have accused Islamic State fighters of atrocities, giving detailed accounts of women and young girls being taken from their families, raped and, in some cases, murdered. “They have essentially waged a pretty vicious campaign against the people without regard to civilian casualties,” Votel said. Islamic State on Saturday also claimed responsibility for a suicide bombing on a Shi’ite Muslim mosque in eastern Afghanistan that killed 39 people and wounded at least 80 others. The attack underlined the dire security situation after four decades of war and 17 years of U.S. intervention.